A dynamic team of like-minded people who have branded products on their brains because we’re bonkers about them. We’ve been branding clothing, corporate items and “widgets” since 2002, and really do have a brand-able item to meet almost any request! Enthusiasm and expertise drive us all to deliver top quality products at great prices to give you the best branding solutions. Whatever we produce for you is crafted for stand out brands that support your business for success. Supported by a raft of experience across associated industries, our brand team blend their specialist knowledge to give you clothing and promotional items on target, on budget and on time. Having expertise in clothing as well as promotional products means you can get everything under one roof, and we can make sure it all fits together to boost your brand, your message, and your activity. The products featured on this website cover a wide range of popular items, but our extensive network of worldwide suppliers means we have thousands upon thousands of garments and promotional items to offer. We’ve got it covered – there’s something for everyone- just call! Whether it’s polo shirts or pens, fleeces or furry dice we’ll listen to what you want and deliver products that work for you. And if you want to be unique, then let’s explore bespoke designed items that help you stand out! We love getting our brand brains working on something new and exciting, and our creative design team are on hand to transform those unique ideas into reality. Getting to know our clients and developing a strong client relationship is key to branding success. So whether you’re a one-man band, a local business, large corporation or specialist agency working on behalf of your own clients, our team will make your order simple, stress free and successful. Keeping up with the latest products and promotional offers allows us to support you with up to date ideas and suggestions, as well as tempting offers. Mixing UK manufactured and UK stocked items with in house production means we can respond to tight lead times when needed. On the other hand, our access to world sourced suppliers means we can deliver on quantity and budget too. We appreciate your business and recognise you always have a choice as to who you buy from, and so we aim to reward your choice with star service! When you come back to us with repeat orders we want to make it as easy for you as possible and so we’ve invested in a snazzy job management system to access your order history at the touch of a button. With new enquiries we can support you with products we know will suit your business because we’ll take the time to understand your specific needs. Stuck? With thousands of options it can be a daunting task embarking on clothing or promotional items, so let us do the legwork for you and choose the right products, decoration options and print processes. 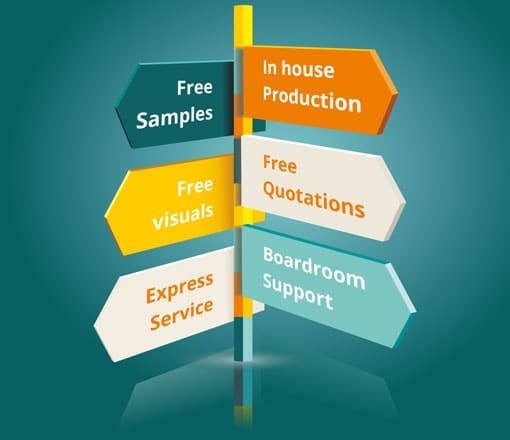 We’re happy to produce FREE , no obligation quotations which are a great starting point, and can even jazz up some FREE visuals to fire your imagination. Needed it Yesterday? Just get in touch and we’ll do the running around for you, and find suitable products available on an express service! Want a Test Drive? Samples are available on a wide range of products so you can try before you buy, and many of them are FREE too! Need Boardroom Support? One of our branding team would be happy to provide representation at meetings where support and advice on branded clothing or promotional merchandise may help. Just ask! "Thank you very much to the team at Just so- I am very happy with how the T-shirts look, you did a great job!" "'....they offer a first class service. We had been looking for a local business to supply us with our branded uniform. What we found with JUSTSO was quality at competitive prices. Their service is of a high standard & not only do they deliver promptly but nothing is too much for them......they are always there to offer recommendations at good prices. They listen to what we need which for us as the customer is of high importance. Fab service and a fab team! Thank you JUSTSO” !" 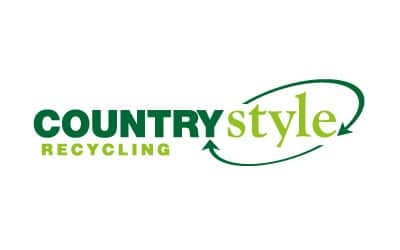 "'Thank You for processing our order and for being so accommodating to our need for our quick delivery, especially over a Bank Holiday Weekend. The students received their clothing and were very pleased!" Just to let you know that the bins have arrived and they look brilliant! Thank you so much for getting these all organised!" Could I just say a massive thank you to yourself and the team, I haven’t seen the tops yet but the service has been fantastic. I will certainly post pictures on social media for you and pass on your details to anyone I hear of looking for printing needs." Got the gilets and they are great, thanks so much for all your help on these and if we have any work in the future, I will be in touch. Have just received the jackets. They look great ...."
"Just received our branded jackets and they are lovely. We are really pleased with the quality and with the quick and excellent service too. Thank you!" "Hi Rachel –received all thank you. These look absolutely amazing – thank you so much for the super quick turn around and getting these to us on time." "Thanks for the pens, received today – very prompt and perfect for the job." Thank you so much for getting them (hoodies) done so quickly for us. They are lovely. Look forward to putting some more orders in with you." " The pens arrived yesterday ; they are lovely. Many thanks." "Thank you for overseeing the order of the thermos mugs and getting them to us, they look good and we are pleased with how they’ve turned out." "By the way we received the name place holders and they look amazing- the size is perfect everyone loves them. Thank you so much." "Thanks again for the tops for the charity ride. You've done a fantastic job - absolutely perfect. "Hi Rachel, I can confirm we have them and are really happy with them (lanyards). The value to my company for the professional image it portrays, is an essential part of the presentation of my company." "I can't tell you how pleased I am with the embroidery work you provided for me. 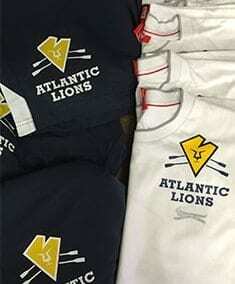 Your attention to detail and product knowledge is second to none...We will be ordering again..."
"Just to say a huge thank you for our clothing. I intended emailing you yesterday, but time flew away from me. We are all hugely delighted with the clothing, everything is of superior quality and will keep us warm. 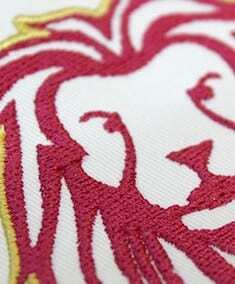 The embroidery of the logo looks amazing on all our tops/coats. We will be back in touch when we require anything further.Thanks again for all your efforts and help"
"I’d also just like to thank you for all your help on this. I understand deadlines were extremely tight, and the Clients were very happy with the gift ideas and the quality of the products. 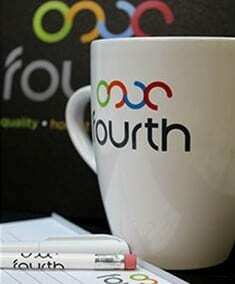 The delivery went smoothly and the Client has the products in time for the meeting. We really appreciate your cooperation and help, as always we were happy with the end result!" "Thank you they all arrived and are amazing! We are really pleased so thank you so much!" "Thank you for doing the Domus Renovations T-shirts, they look fantastic and we are very pleased with them! Jane was right, you are very good!" 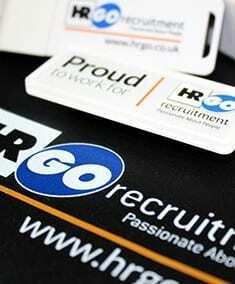 "The importance of having JUSTSO providing us with high quality branded merchandise is paramount to us." "Thank you for all your hard work. The new pens are so much better." Instant orders with no minimum!